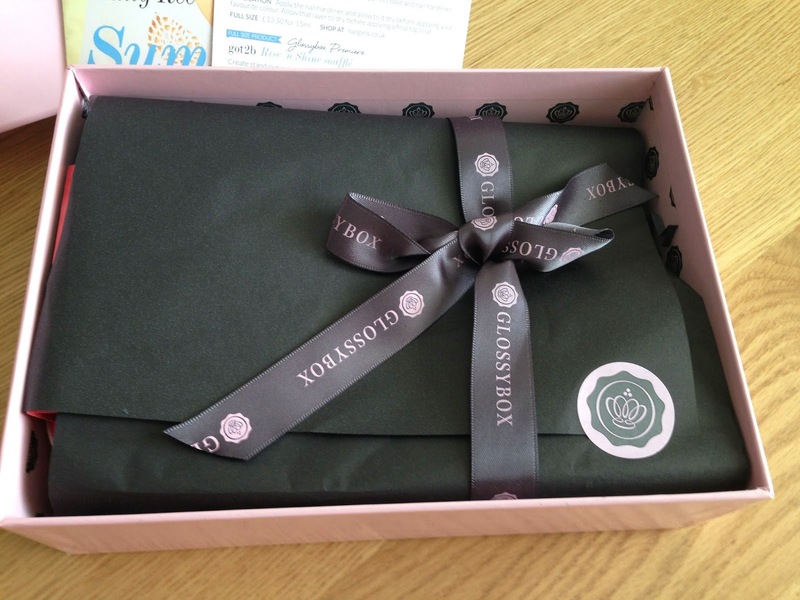 Now for any of you that don't know, GlossyBox is a monthly beauty subscription service where every month, a pretty pink box comes through your door full of gorgeous goodies for you to use! They consist of 4-5 full size hair, make-up, body and nail products from both well-known and new brands. You can subscribe to them for one month, three months, six months, or a full year and can even gift your friends a box if you're feeling generous! I love the idea of being sent products I wouldn't normally know about and getting the chance to try them for a fraction of their actual cost so I was really excited when GlossyBox sent me my email telling me it was on it's way to me! As this was my first month of being signed up to them, I was a little unsure of what to expect and honestly my first impressions weren't that great. I loved the packaging and the way the products were all wrapped up like a little present but I wasn't too sure on the products themselves. None of them seemed to jump out at me as something I would normally go for but then I suppose whats the point in subscribing to something like this if I'm not going to keep an open mind? After seeing other blogger's previously boxes, I have to admit I'm slightly disappointed with what I got but nevertheless I will still use every product that I received and will definitely not let them go to waste and I'm already looking forward to next months box!